Giant Hammerhead | FISHING FURY - A Fishing Blog with Attitude! 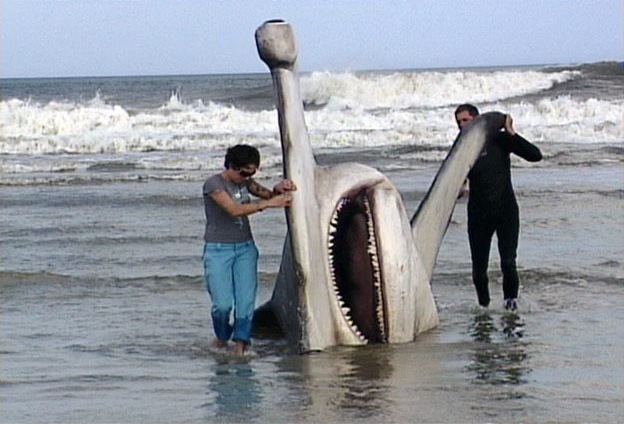 Husband and wife artists David and Aaron Lee placed a sculpture of a massive hammerhead on the beach to help dispel myths about sharks being dangerous to humans. I’m pretty sure I would have taken a different approach. theres no way that there is a shark THAT big , come on now . wow what a shark wonder if it is carpenter. Well, obviously that was a stupid approach to warning people about sharks.